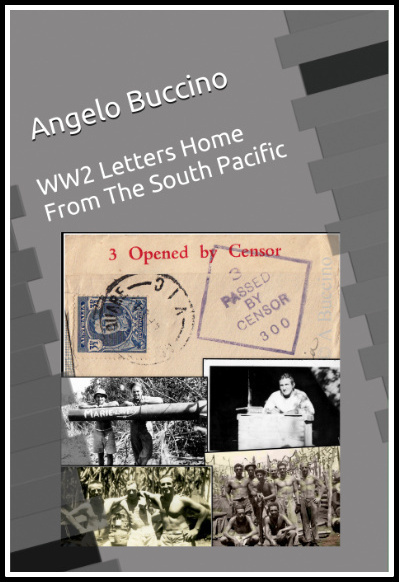 A few of Anthony Buccino's writings on his Italian American heritage and culture ... plus plenty of other resources for cultural enrichment. 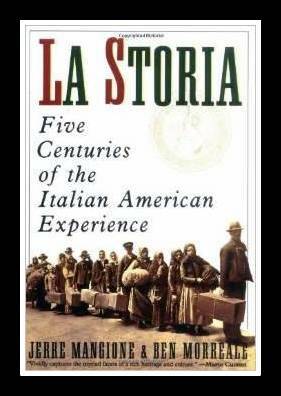 Ordinary folks risked all saving strangers 'We did what we knew needed to be done' The true story of how nearly 40,000 Jews in Italy were saved from Nazi annihilation during World War II. Harry was not yet four years old when his dad died in a coal mine cave-in in Wilkes Barre, Pa. Harry was the youngest of eight children, the oldest was barely a teenager. That was March 18, 1929. 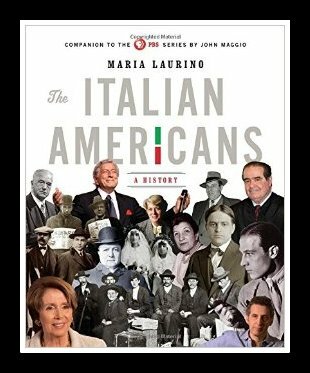 Growing up on the border line of Belleville and Nutley, the children in my neighborhood along Meacham Street knew that when we grew old we would speak Italian. It was as obvious as all of those gray-haired relatives who came to call spoke the dialect. My Uncle Frank was listed as Frank Pumking Cocozza, and on these same official papers, my great-grandfather was Frank Pumking Cocozza. Who is Brother, (who is) Uncle Bim? The four-room house was plenty, it had three bedrooms; one for four sons, one for three daughters, and one for the parents. It had no kitchen, but the Aliperto family never went hungry. Grandma’s farm was just about the only house on the hill; their green farmland stretching as far as the eye could see in the township of Belleville, New Jersey. When my grandparents moved from Passaic Avenue half way down the hill to Gless Avenue, they literally moved the house down the hill. 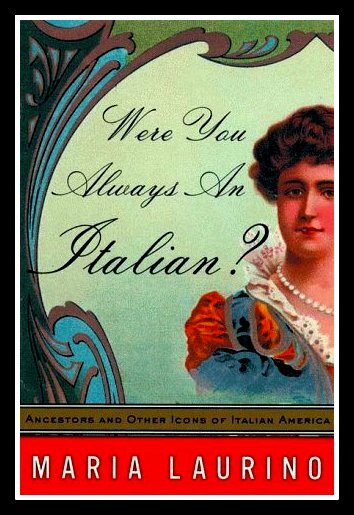 Anthony Buccino's collection Sometimes I Swear In Italian is about growing up Italian American in America. Buccino’s verse captures the assimilation of an Italian American born and raised in New Jersey who becomes truly inspired by a trip to Italy. There he realizes how at home he feels so far away. Read about the old neighborhood where the 'bianca lina' man sold bleach to make the white linens, the young boy growing up in the house his grandfather built, and living upstairs from his scary grandma who spoke no English. This American boy discovers the land his ancestors left to make a better life for him and his generation. 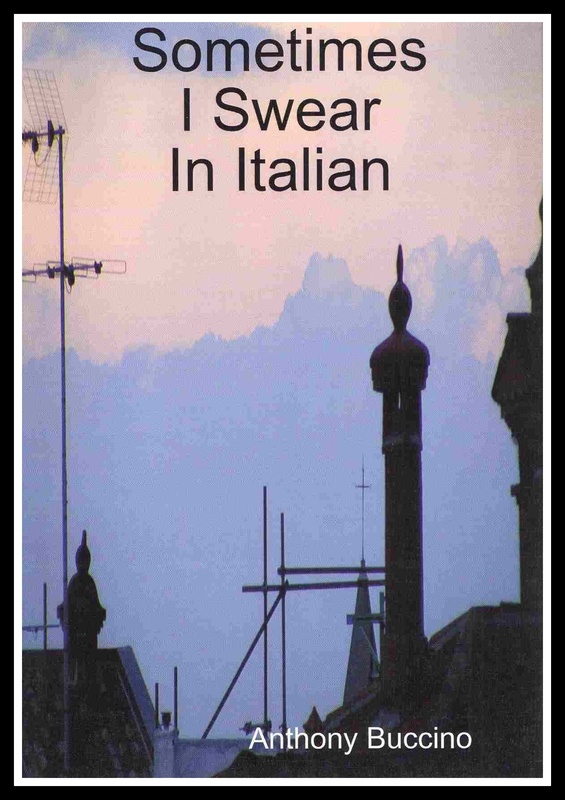 Despite its title, Sometimes I Swear In Italian contains no profanity in any language. Belleville, N. J.-native Anthony Buccino collected in this full-length book his most-requested writings about life and growing up in Belleville, New Jersey. More than forty essays and reflections on everything from his Italian-speaking grandmother who lived downstairs, junior high school bullies to selling pretzels for Ed Strat at Belleville High School football games at Municipal Stadium.